Huge thanks to Rhodri Williams for being our captain for the past year. He has been a great leader and role model and was even selected to play for GB under 20's this year despite being only 16 years old. I am delighted to announce that our new captain is Tynan Hill. He is a great player (GB under 17) and superb leader and I look forward to working alongside him in the coming season. Congratulations to our under 17 and under 20 players who represented Great Britain in the European Championships in Holland this year. More details on the GB page. Another great 2016/2017 season saw our under 14's winning indoor and outdoor National Championships and a clean sweep in the outdoor nationals winning all three age groups. What a brilliant year! Many thanks to our retiring captain Jaime Hammond for all he has done over the past year including winning both the Under 17 and Under 20 Outdoor National Championships. We welcome in our new captain Rhodri Williams and wish him every success with the AirBadgers in the coming year. We have just returned triumphant from this years UK Junior Outdoor Championships where we became Under 14, Under 17 and Under 20 National Champions. We also won the Under 14 and Under 20 plate finals. Very well done to all and thank you for another fun weekend of camping, camp fires and fish and chips! A huge congratulations to our older (ex AirBadgers) 'FC' who have just won the National Indoor Championships (adult open club) for the third year in a row. This has never been achieved before by any team and is a truly remarkable performance. Many of our under 20 players have been selected to play for GB in the World Junior Championships this summer. We all wish you the very best of luck. Lots of our Under 17 players have made it through the first GB trial. Well done to our Under 20 Indoor team who came runners up in the National Championships in February - they gave their all and provided us with memories of a classic semi final. Well done to AirBadgers 4 for winning the plate final against AirBadgers 3! Congratulations to AirBadgers 2 for winning the Under 17 National Championships in January captained by Rhodri Williams and well done to AirBadgers 1 who came 3rd captained by Jaime Hammond. Well done to those of our year 8's that played in the Under 14 championship for coming second overall. Well done to our under 17 girls who won the Under 17 Womens Indoor National Championships and our 20 girls team who came 3rd in the Junior Womens Indoor National Championships. ​Congratulations to all of the AirBadgers who represented GB in the European Youth Ultimate Championships (EYUC) in Frankfurt this summer. It sounds like a great time was had by all and three ex AirBadgers were in charge of the Under 17 GB open team! Full results can be found on the GB page. Also a special congratulations to Nel Ridgeway who was voted most improved player in the under 17 girls competition. Our season drew to a close with our annual pizza night at The Waterfront, Exeter. What a year it has been - probably our most successful ever. Best of luck to our GB players this summer and for the rest of us a well deserved rest before the indoor season starts in September. Congratulations to three of our older AirBadgers who represented GB in the under 23 world championships in London this summer. They are: Ed Hammond (GB Captain), Ben Burak and Steve Dixon. The GB team did fantastically well to reach the semi finals where they narrowly lost to USA and eventually finished 4th overall. I am delighted to announce that next seasons AirBadgers captain will be Jaime Hammond. Our thanks go out to Lewis Geran (Sheepy) for doing a great job as captain and helping out with the year 7 training each week. Our ex captain Matt Grimes continues to impress in the football world. This summer he captained England under 20's and is currently in pre season training with premiership club Swansea. We are all celebrating after retaining our Junior Outdoor National Championship title in Bristol. We beat Stags in the final and Harvey Ridgeway was named as MVP. Our amazing year 7 team also won the Year 7&8 National Championship beating our second team in the final. Our year 8 team were narrowly beaten in the final of the year 11 and under National Championships. It has been another incredible year for the AirBadgers but most importantly we have had some fun weekends away and grown stronger as a club. ​Congratulations to the following AirBadgers who will be representing GB in The European Championships in Germany this summer: Ben Mattin, Pieter Keenan, Olly Cox, Tom Williams, Hamish Schnadhorst, Haleigh Miller, Adam Cotgrove, Jaime Hammond, Fin Blackwell, Lily Conlin, Izzy Pinsky, Millie Marsden, Esther Awcock, Leah Atkins, Nel Ridgeway and Immy Lovell. We had our best ever Junior Indoor Nationals this year. AirBadgers 1 were once again crowned National Champions in a close final against Arctic. AirBadgers 3 finished 7th, AirBadgers 2 were 8th and AirBadgers 4 were 14th. MVP of the final was the incredible Josh Awcock. It was another fun weekend and we look forward to a spot of camping at the Junior Outdoor Nationals in the summer. Congratulation to our mostly under 17 AirBadger team who finished an amazing 12th at the Club Open Indoor Nationals in Plymouth. 'Fairly Confident' (ex AirBadgers) became National Champions for the second year in a row. Wow! Our AirBadgers under 17 A team have qualified for the UKU National Indoor Championships in Plymouth on February 21st/22nd. We have never qualified for the adult national indoors before and it was a pleasure to play 'FC' (a team of older ex-junior AirBadgers in the final of the South West regional qualifiers). We have always wondered if it were possible to get two AirBadger teams into the final of a National Championship and this year it finally happened. In the final of the 2015 Under 17 National Championships, AirBadgers 1 defeated AirBadgers 2 in a feircly contested but freindly and spirited match. What a moment for the club! It was a proud day to be a Badger and one that we won't forget. AirBadgers 6 won spirit which we are equally proud of. Our amazing year 7 newbies came 4th in the year 7 and 8 competition but most of all we had another amazing weekend away and grew stronger as a club. Long may it continue! Back to training now with plenty more adventures ahead of us. You can watch the final and all of our other National finals on our Youtube channel. Follow the link on our video and photos page. All of the AirBadgers are extremely proud of our ex captain Matt Grimes who is now an England under 20 and premiership football player with Swansea City recently bought for £1.75million. We wish him the very best of luck as he continues his sporting career and he continues to serve as an inspiration and role model to our current players. Matt was (and still is) an incredible Ultimate Frisbee player and through hard work and determination represented GB and captained the AirBadgers to Under 17 and Under 20 National titles. You can see countless pics and videos of him playing Frisbee for the AirBadgers by clicking on the photo link. Welcome to the AirBadgers Ultimate team web-site. 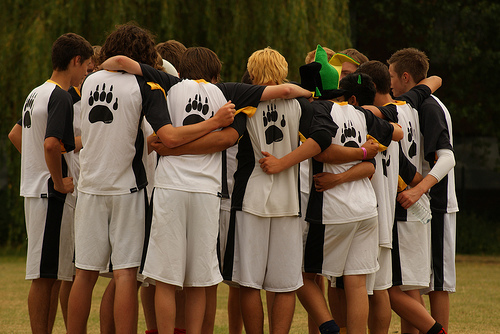 AirBadgers are an Ultimate Frisbee team with all their players originating from St. Peter's School in Exeter. The club contains a mixture of girls and boys of all ages and abilities. We are currently the Under 14, 17 and 20 Outdoor National Champions and the Under 14 Indoor National Champions. Many of our players represent Great Britain in European and World Championships. New To Ultimate? Then check out the "Beginner's Ultimate" page or watch some great Ultimate clips HERE or watch the AirBadgers in action HERE. Are you an AirBadger? Click "Request Account" to get a password and gain access to the 'Players Only' page.